Today, August 11th is known in some countries as "National Son’s and Daughter’s Day". 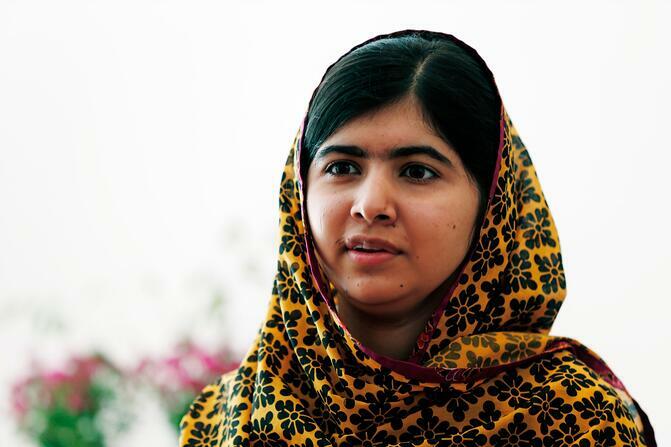 Here at Brillantmont International School, we want to take this opportunity to highlight and celebrate one of the incredible young daughters of our time and a true champion of education, Malala Yousafzai. Even though Pakistan guarantees a free education for every child, less than half of the female population is literate and the local Taliban at times ban girls from attending school. In recent years, Malala Yousafzai, an 18 year-old education activist from this region, has become known throughout the world for her courage and fortitude. Before rising to international recognition, she wrote a blog under a pseudonym for the BBC, which detailed her experiences in the Swat Valley in northwest Pakistan and her views on education and freedom for girls. Following this, and a documentary by the New York Times about her life, her prominence rose and word of her efforts spread. Then on October 9th 2012, Malala was on her way to school when she and two of her friends were shot by a Taliban gunman. It was reported afterwards that the intent was to “teach her a lesson” about standing up for the right of education, self-determination and freedom for girls. The bullet passed through her head and neck and got lodged in her shoulder causing incredible damage and pain. And yet somehow, Malala survived. News of her story spread across the world and everyone watched with bated breath as she fought her way back to health. Unconscious and in critical condition for a number of days after the attack, she was eventually flown to Birmingham Hospital in the U.K. and in early February, Malala was re-admitted to hospital to undergo brain surgery. With the help of a custom-made titanium plate fitted to her skull and a hearing implant in her left ear, the surgeons were able to reverse some of the damage inflicted during the shooting. Following her recovery, Malala attended school in Birmingham after her father received a job offer, which allowed the Yousafzai family to stay in the English countryside for five years. Since then, Malala was featured in Time magazine’s “The 100 Most Influential People in the World”, she won the first Pakistan National Youth Peace Prize, and spoke at the UN to call for worldwide access to education. In addition, the University of King’s College in Halifax granted her an honorary doctorate, and most notably, in 2014 she was the youngest person to ever be awarded the Nobel Peace Prize. One of Brillantmont’s most treasured goals is to educate children to be the next leaders and enablers. Malala is an incredible inspiration and a prime example of how much difference one son or daughter can make in this world. Learn more about Brillantmont International School and our excellent academic programmes, here.